The first time I heard Farida Khanum sing, “Haaye mar jayeinge, hum toh lut jayenge, aisi baatein kiya na karo,” I felt a bit nervous — were women in our part of the world (especially those across the border) allowed to say ‘haaye’ like that? What on earth was this devastatingly haunting sensuality? Khanum’s languid throaty voice, and her hypnotic powers of persuasion and cajoling clearly belonged to another world. A world very far from what I’d grown up in, listening to the Hindi film heroine lip-sync: this was an adult woman singing an adult song. And, such a world did exist. Usha Uthup — who in the 1970s sang at Trinca’s, one of Calcutta’s iconic nightclubs on Park Street, donning her trademark Kanjeevaram saris — was reportedly thrown out of music class in her school because her voice was way outside of the acceptable female range. While she was never hired to sing for the Hindi film heroine because of the gravity in her voice, and entirely marginalised in the Lata-Asha era, she still managed to top the charts on Radio Ceylon with hits like ‘Koi Yahan Naache Naache’ and ‘Hari Om Hari’. Would a singer like Uthup have found more success in mainstream film music today? Perhaps. My hopefulness is not entirely unfounded: I recently saw 12-year-old Riya Biswas on a singing reality show. She belted out a dense jazz-meets-classical-meets-disco version of Geeta Dutt’s ‘Jata Kahan Hai Deewane’, and followed it up with a modulation of her voice into a significantly thinner pitch for Lata Mangeshkar’s ‘Hoton Pe Aisi Baat Main Dabake Chali Aayi’. With some luck, Biswas will not be asked to pick one of these personas over the others. Lata Mangeshkar, the definitive female voice for decades, largely covered two out of the three stereotypical characters available for the heroine: the sexually unaware infantile (grown) girl and the Hindu wife/Mother Nation. Asha Bhosle, her sister, took on the task of rendering the third voice (which Mangeshkar refused) — the ‘bad’ girls — of cabaret dancers, vamps, and tragic courtesans. There were, of course, some spillovers (like the eternal ‘Pyaar Kiya Toh Darna Kya’, ‘Aaa Janejah’ with its shockingly racist picturisation, and the Lata-Asha duet ‘Mirchi Main Kohlapur Ki’). Mangeshkar’s public persona — desexualised, virginal, “pure”, devotional, Hindu — powerfully shaped the Indian national imagination of what a woman singing should sound like. The ‘good’ woman’s voice remained within the contours of the sweet, smooth, shrill, adolescent, and safe. It rarely strayed into the realms of the textured, husky, thick, too warm, or complicated. 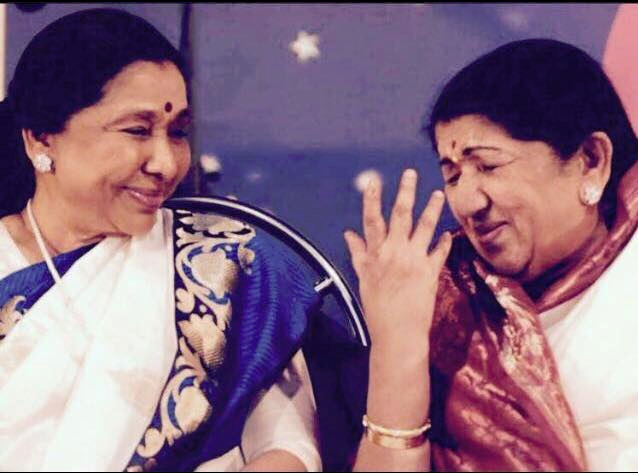 There was only one standard of measurement for the female voice and it was Lata Mangeshkar’s. 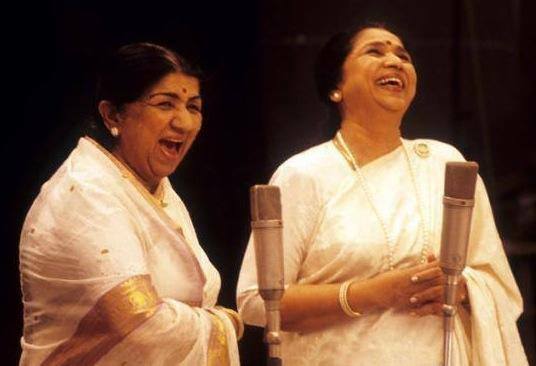 As scholars like Sanjay Srivastava have already pointed out, the dialogue around Lata should move from preoccupations with her voice quality (“good” or “bad”) to the ways in which her singing style helped fashion Bollywood’s predominant expression of Indian femininity. The passing of the Lata-era has indeed created spaces for newer ways of hearing the female voice and its associated gender identities. 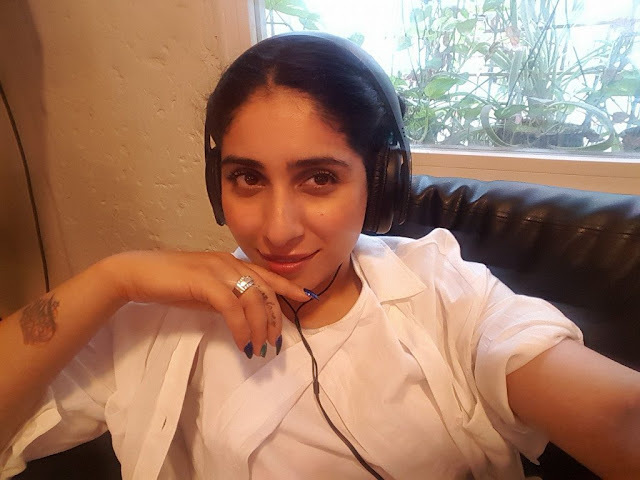 Consider for instance, the case of Neha Bhasin (singer of Bollywood hits ‘Kuch Khaas Hai’, ‘Dhunki’ and ‘Jag Goomeya’). She was one of the girls chosen for India’s first all-girl pop band: Channel V’s Viva. Like most other Indian pop stars, Bhasin soon found that when the initial euphoria faded (the debut album did sell 50 lakh copies), she had to make do as a Bollywood playback singer. In a recent interview with Anupama Chopra in Film Companion, Bhasin expressed her discomfort with the term ‘playback’ singing. She is not comfortable playing in the back, she’s a performer and wants her due — “I was born a popstar”. She also said that her voice was considered “manly”. Bhasin’s vocal style is characteristically thicker than the pitch the female singer is expected to have. For singers like Bhasin, the future however, lies beyond film music. Most upcoming artists are exploring YouTube and other forms of social media to create their distinctive musical expressions. Bhasin has tried to avoid being typecast by taking on songs that are challenging in different ways. (It is not only female actors who face this problem.) She says, “I am not that lucky girl who sings 100 similar songs and becomes famous.” In a remarkable series of music videos, Bhasin sings Punjabi folk songs she grew up hearing from her mother and grandmother. All of these videos are styled distinctively: she dons a new and provocative avatar in each, reminiscent of Lady Gaga. In several of these, including her latest, ‘Chan Mahi’, she even defies the stereotypical Bollywood body. The songs themselves are often traditional, passed down through oral family histories and about women, marriage, and their everyday struggles in the household. It is also a radical feminising of the otherwise masochistic world of the Punjabi male hip-hop/pop star. Along with heaps of praises for her voice, and her intelligent reinterpretations of these nostalgic sounds and songs, several of Bhasin’s female fans routinely comment upon the ways in which she helps break stereotypes associated with body and sexuality. As for Asha, he concluded that she not only lacked Lata’s range but also had an even greater “problem”: “an oozing sensuality of her voice, a compelling come-hitherness, which makes her slotted only for the cabaret and disco numbers.” He went on to describe Mangeshkar’s clout in the industry — a frown from her would send music directors into a tizzy and a disapproving shake of her head would give everybody cold feet. In fact, no other female artiste has managed this extent of ownership and monopoly over her craft in the notoriously sexist world of Bollywood. While actresses aged, got married, and had to leave the silver screen, Lata continued to voice each new generation. In other words, the female voice remained frozen in time — always slightly adolescent and “delightfully high”. According to sociologist Sanjay Srivastava (in the May 15-21, 2004 issue of Economic and Political Weekly), Mangeshkar’s vocal style did not have any precedents in the traditions of Indian music or of female singers from the subcontinent — the range of both of which was extremely diverse. He argues that Mangeshkar’s voice was the perfect antidote to national anxieties about performing women and women in public space whose “presence was ‘thinned’ through the expressive timbre granted to them”. Mangeshkar’s public persona further helped cement the image of the “pure” Indian woman whose desire, sexual and otherwise, did not run amok like other women in the entertainment industry. There was no gossip around her personal life that circulated in the film magazines. She refused to sing cabarets, disco songs, and lavanis. Her sibling, Asha Bhosle had no such qualms and had a very different personal trajectory. Bhosle eloped from her house when she was 16, walked out of an abusive marriage at 26 and supported three children through her singing — gladly taking on all rejects and leftovers from her older sister. 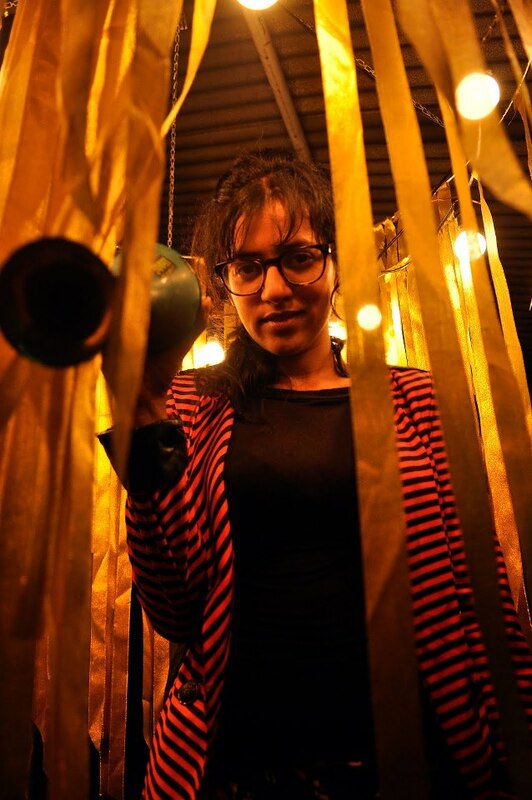 Asha was called upon to sing for female characters whose sexualities could not be curtailed within the realm of family, marriage, or motherhood (think Umrao Jaan, Monica from ‘Piya Tu Ab Toh Aaja’ and the pot-smoking Jenny from Hare Rama Hare Krishna.) However some of India’s most iconic disco numbers, like the inimitable ‘Aap Jaisa Koi Meri Zindagi Mein Aaye’ were sung by the wildly popular Pakistani pop sensation Nazia Hassan. Whether Mangeshkar’s monopoly over the music industry can be considered a tale of feminist triumph or not (as director Basu Battacharya liked to see it) is a matter of debate. The downside of this was that no other female singing talents could find a substantial foothold in the industry, and whatever little they could sing had to sound like Lata. 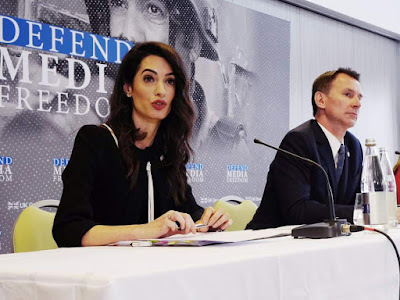 Both sisters have hotly denied all rumours that they squashed the careers of other female singers by allegedly refusing to work with music directors who dared to pick anybody new. Despite the denials, it seems as though the career trajectories of several other singers during the Lata-Asha era was mysteriously short and often bizarre. Consider for instance, the case of Suman Kalyanpur, also known as the “poor man’s Lata”. Not many people know that she sang the hits ‘Na Na Karte Pyaar Tumi Se Kar Baithe’ (Jab Jab Phool Khile, 1965) and ‘Aaj Kal Tere Mere Pyaar Ke Charche’ (Bramachari, 1968). Others like Runa Laila and Vani Jairam managed to sing a few stray songs and eventually packed their bags for other shores. (Poor Runa Laila was also thought to be a Bangladeshi spy.) To be clear, there is absolutely nothing wrong with a “nazuk and patli” vocal tone. What is problematic is when one kind of expression begins to determine and define the entire politics of the female voice. The Lata-hangover continued well into the 1990s — singers like Alka Yagnik, Kavita Krishnamurthy, Sadhna Sargam, and Anuradha Paudwal continued the legacy of the nasuk awaaz. Several of these singers started out as dubbing and scratch artists who would record initial versions of a song that would finally be sung by the main artist (mostly Lata). 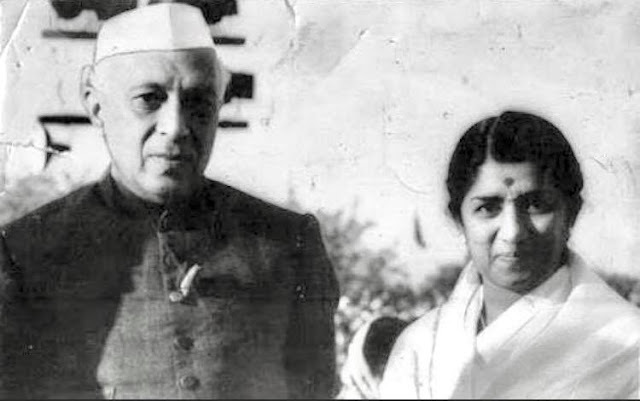 There were several others like Vandana Vajpayee, but they never really made it big. I recall hearing Sunidhi Chauhan’s spunky voice in her debut film Mast (1999), only for it to have thinned considerably in later projects (clearly her voice had too much pluck as she soon became the “queen of item songs”.) Similarly Shreya Ghosal opted to follow up her adolescent debut — romantic numbers for Devdas — with the unconventional, un-Lata like racy ‘Jaadu Hai, Nasha Hai’ from Jism (2003). While Chauhan and Ghosal started a few trends, it is only recently that we have begun to hear new and distinct female voices that have their own kind of plural personas, depths, and tonalities like Anushka Manchanda, Rekha Bharadwaj, Shilpa Rao, Jasleen Kaur Royal, Neeti Mohan, Nooran Sisters, Neha Bhasin, Sneha Khanwalkar, Kanika Kapoor, Aditi Singh Sharma, Jonita Gandhi, Alisha Chinoy, Monali Thakur. The situation however is complicated. The sudden arrival of a multiplicity of female voices might have shaken the hegemony of the monolithic voice, but these singers still have to operate within the sexist matrix of Bollywood, which has always had a deeply-skewed relationship to female talent and labour. Several of these new talents see themselves as singers, songwriters, and performers — identities that cannot be contained within the oddity ‘playback’ singer. Despite the sudden availability of a range of textures for the female voice, they often remain interchangeable. This is one of the disadvantages of the post-Lata era. Despite limitations, the tide is definitely changing. A force to reckon with is Sneha Khanwalkar, India’s third female music director with a serious proclivity for the ethnographic. (For the uninitiated, Khanwalkar composed the startlingly refreshing soundtracks for Oye Lucky Lucky Oye and Gangs of Wasseypur, and sang my favourite song from GoW: ‘Kalaa Rey’.) She also used her own voice for the hyper-male, super gangster song ‘Keh Keh Loonga’. The other female voices on the album are Padmashree Sharda Sinha, the “voice of Bihari folk” (‘Tar Bijli Se Patle Hamare Piya’) and 12-year-old Durga (‘Dil Chi Cha Leather’) who use to previously sing on the train stations of Mumbai. For Oye Lucky, Khanwalkar travelled to an all-male, all-night music festival in Haryana to find new ways for us to think about the aural scape of the overdone Punjab. This is her signature style — as we also saw in MTV’s Sound Trippin. She has a ear for the acoustics of our everyday lives. Jasleen Kaur Royal, another rising singer-composer, is often seen with a mouth organ, a tambourine, and a guitar, all of which she wears on her physical self. These expressions are not only bringing forth the overlooked and plural sonic worlds of popular culture in India, but also finally accommodating new and agile ways of imagining the gendered voice.